Screen readers are computer software that assist the blind or visually impaired in using computers, by either reading the text that shows up on the screen or by presenting them on a braille display. Essentially, it serves as a platform for the visually impaired to communicate with their computers. Screen readers can either be instructed to read the text on the screen out loud, or to automatically speak out the changes that occur on the screen. Each screen reader comes with its own unique set of command structures. They are able to perform tasks such as read a word, a line or even a full text, inform the user about the location of the mouse’s cursor on the screen, and tell them what item is being focused on. Some screen readers can also perform advanced tasks such as reading per-designated parts of the screen (useful when surfing the Internet), and even reading the items on the cells of a spreadsheet document. There are several things one must consider before being invested in a particular screen reading software. Firstly, one must be sure that the screen reader is compatible with their computer’s operating system. Also, since most visually impaired users find the use of braille displays very helpful, the screen reader has to be compatible with them. One must also check if the software is compatible with the applications that the user most frequently uses. Finally, it is wise to check the command structures and keystrokes of the software beforehand, so as to be sure that they are easy to remember and not in conflict with existing keystrokes. There are currently several different Screen reading software available for personal computers. Some are free while others can set you back as much as $1200. 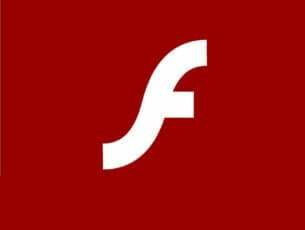 Job Access with Speech, commonly abbreviated as JAWS is the most popular screen reading software in the world. According to a 2015 survey of screen reader users, 30.2% of all users used it as their primary screen reader, while 43.7% reported having used it often. 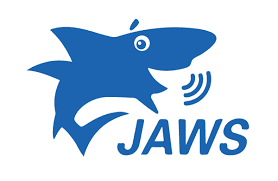 Developed by Freedom Scientific and Distributed by The Chicago Lighthouse, JAWS is able to convert the various components of the Windows operating system into speech, making it possible for the blind or visually impaired user to use the OS. JAWS supports all the versions of Windows since Windows Vista. In order to operate, it requires a minimum of 1.5 GHz of processor speed and 4GB of RAM. Also a Windows compatible sound card is a must. It supports Braille displays as well as speech synthesizers as it’s output devices. There are two different versions of JAWS: the Home edition, which is for non-commercial use, and the professional edition, which is designed for commercial use. The suggested price for the Home edition is $900, whereas the suggested price for the Professional edition is $1,100. The product comes with a 30-day money-back satisfaction guarantee, and a limited 90-day warranty for manufacturing defects. 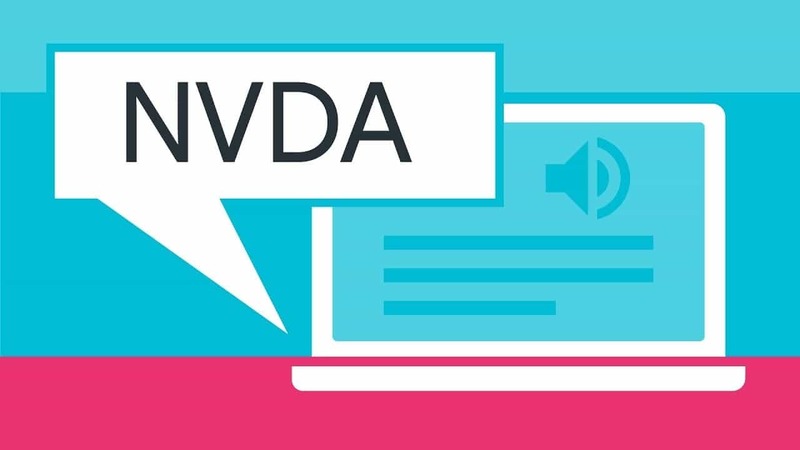 NonVisual Desktop Access, commonly abbreviated as NVDA, is a very popular free screen reader. Its developers claim that their goal is to enable the blind and the vision impaired to use computers with ease. It can either read out the text on the screen via a computerized voice, or convert and present it as braille, via a braille display. Users can control what is read by moving the cursor across the screen. Users can either download the software to their PC or upload it on to a USB stick and use it with any computer they want. NVDA supports all 32-bit and 64-bit versions of Windows since Windows XP, all the way up to Windows 10. This includes the server operating systems. NVDA required at least 1.0 GHz of processor speed, 256MB of RAM and 90 MB of storage space to run smoothly. That makes it pretty light-weight compared to the other entries on this list. Unlike most screen readers, which are ridiculously expensive, NVDA is completely free to download and use. It’s developers claim that it’s been downloaded over 70,000 times, in 43 different languages. They encourage users with means to donate to the project. 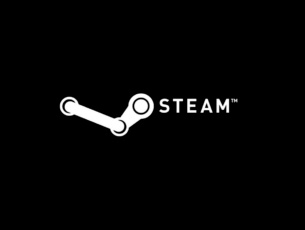 This donation helps support the developers who work to keep the system up to date, and also makes sure that the software remains free. COBRA is another popular paid screen reading software. 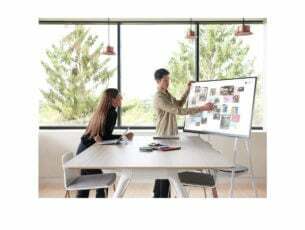 It allows the user to modify their desktops as per their needs, defining features you frequently need, in order to create a productive work environment. Customized functions also allow for a more efficient workflow. COBRA is currently available in two different versions: COBRA 11 for Windows 8 and 10 users, and COBRA 10 for Windows 7 (32- and 64-bit), Windows XP (32-bit) and Vista (32-bit). In order to run COBRA you computer must have a minimum of 2 GHz of processor speed (with Dual Core or higher processing speed recommended), 4GB of RAM, at least 2GB of hard disk space and a Windows compatible sound card with the latest driver. Each version of COBRA comes in three different avatars: COBRA Zoom, COBRA Braille, and COBRA Pro. COBRA Zoom is priced at $649, COBRA Braille at $749, while COBRA Pro is priced at $849. 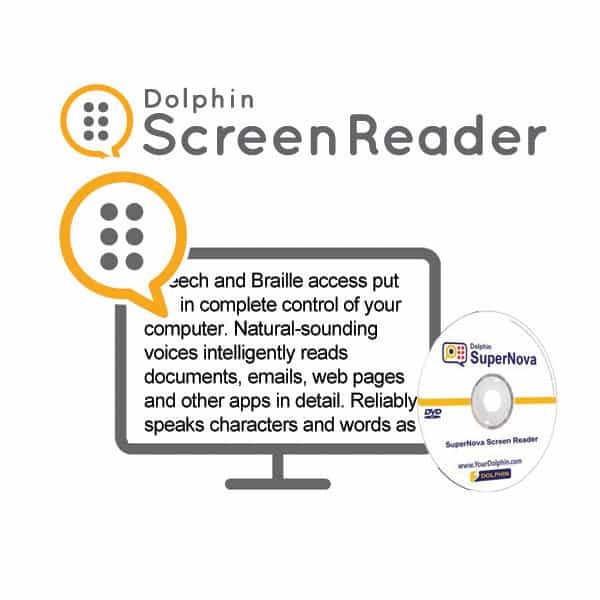 Dolphin Screen Reader, developed by Dolphin Computer Access Inc., is another popular paid screen reader. It was formerly marketed as SuperNova Screen Reader. Its speech and braille access makes it possible for the blind or visually impaired user to be in complete control of their computer. Has natural-sounding text-to-speech voice, that can read documents, articles, emails etc. Its Dolphin Cursor and Item Finder makes it easy to know what’s on the screen. Speak out characters and words as you type them, hence increasing accuracy. They can scan and read (via OCR) various paper documents and PDFs. In order to run Dolphin Screen Reader, one needs a computer with a processor speed of 1.5 GHz or faster, a minimum of 2GB RAM, 5GB of storage space, and a Windows compatible sound card with speech output. It supports tablets, laptops and desktop computers running Windows 7, 8, 8.1 or 10. Dolphin Screen Reader can either be bought under a single user license or a multiple-user license. The single user version of the software, which is ideal for personal use, costs $955. The multi user license costs $955 for the first user and $685 for each additional user. The multi-user license is ideal for organizations that are looking to provide access across single or multiple networks. Dolphin Screen reader comes with a Software Maintenance Agreement (SMA) for updates. The upgrades are delivered to your inbox. 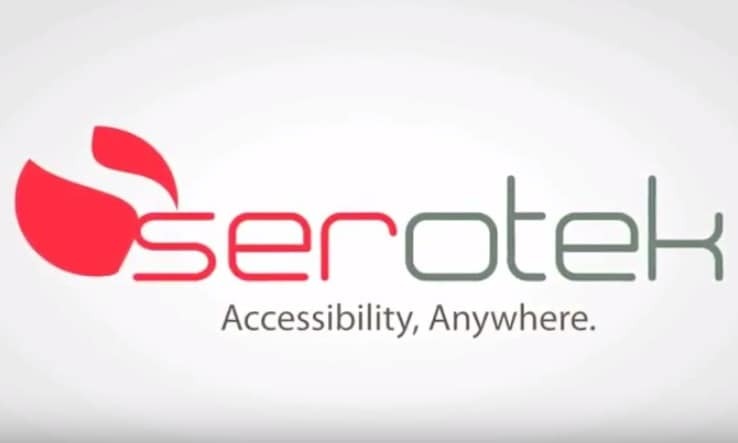 System Access, developed by Serotek Corporation, is one of the more affordable screen readers for Personal Computers. 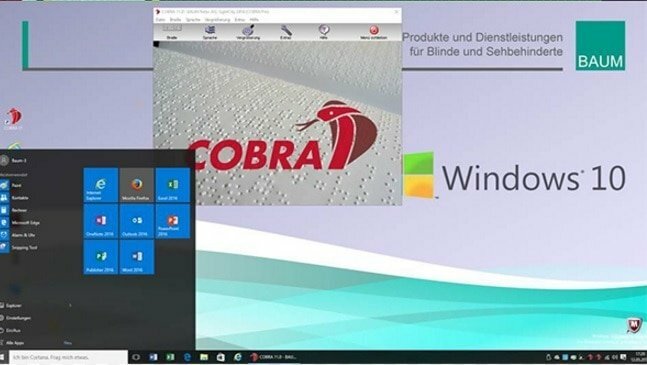 It provides blind or visually impaired users full access to the Windows environment. It supports the numerous applications, including the likes of Adobe Reader, Outlook Express, Skype, and Microsoft Office. System Access is relatively cheaper compared to the other paid screen reading softwares. System Alone Standalone sells for $399, whereas for $499 you can get System Access Mobile. System Access Mobile is also available for $21.99 a month. ZoomText Magnifier: Enlarges and enhances everything on the computer screen to perfect clarity. ZoomText Magnifier/Reader: Does everything ZoomText Magnifier does, and also reads out text from the screen. ZoomText Fusion: Does everything Magnifier/Reader does, and also functions as a full screen reading software. Lets you customize your views (change colors, contrast etc. There are three different versions of ZoomText available: ZoomText Fusion, which costs $1,200, ZoomText Magnifier/Reader, which costs $600, and ZoomText Magnifier, which costs $400. Ai Squared also offers paid in-person training, paid certification programs and free webinars on ZoomText. You’ve reached the end of our list. The tools listed above are great for the blind or visually impaired, allowing them to use computers and connect to the world. If you have used other screen readers that you think we should add to this list, let us know in the comments below.